“For five days of the week, I would say my day starts at 5 a.m. and ends at 7 p.m. and then Saturdays are half days. 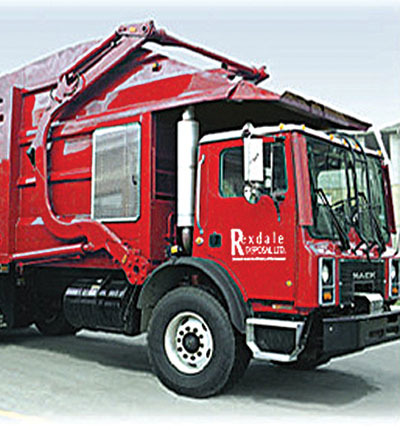 That gives me about 75 to 78 hours of work a week,” calculates Mauro Rossi, vice president of Rexdale Disposal. 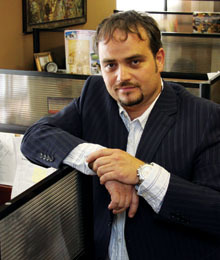 Mauro inherited an impressive work ethic from his father, Filiberto Rossi, the founder of the company. Now 73, Filiberto began Rexdale Disposal back in 1973, after his hours were cut at the disposal company he worked for. His wife, Rita, assisted in the challenging endeavour of jump-starting a new business to ensure her husband’s happiness and success. 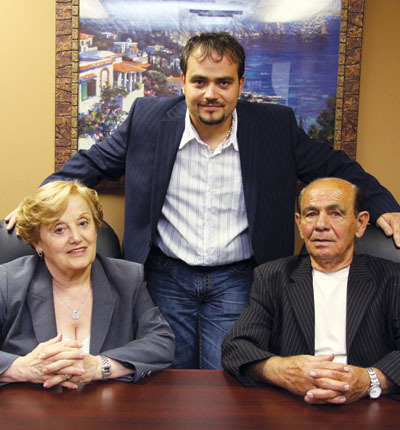 Filiberto’s business-savvy nature and his passion for the industry, combined with Rita’s solid background in account managing, allowed for Rexdale Disposal’s growth and prosperity. The dynamic pair eagerly worked together to form what is now recognized in the city as a top waste and recycling hauler. “We’ve achieved what we wanted to achieve in today’s market and we’ve always grown at one to two trucks a year,” says Mauro. Charismatic and friendly, Mauro is capable of steering a bustling business while still remaining down-to-earth and approachable. “He’s pretty fantastic. He doesn’t feel like a boss, he feels more like a co-worker. That makes the work environment very comfortable,” notes Vito Fiorillo, Rexdale Disposal’s vice president of business development. “We work as a family here and our customers mean everything to us. We take pride in what we do. It may be a waste company to somebody else, but it’s everything to us,” he adds. Mauro acknowledges the competitive nature of the waste removal industry and manages to survive, succeed and flourish by remaining honest in all aspects of business. 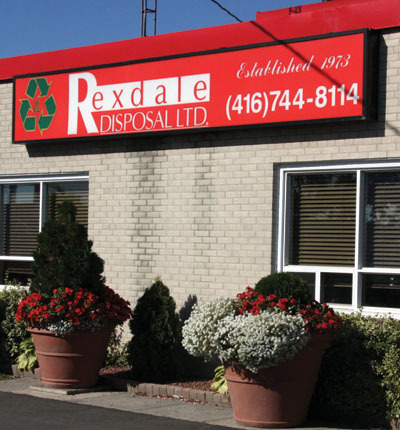 In order to stay innovative and current, Rexdale Disposal also focuses on bettering response times. “The only thing you can enhance in this industry is the customer service. Response times are becoming a lot better,” he says. As proud supporters of the green movement, the Rossi family also looks to the future and strives to preserve and protect the environment. “We want a greener tomorrow. We need to make sure we have some greenery left so that we can share it with our kids and our grandkids,” says Filiberto. They are constantly seeking out better means of recycling and hope to incorporate biodiesel products and equipment in the near future. “Doing the right thing is what we look at. It may not be the best thing, but it is the right thing to do for the environment,” adds Filiberto.